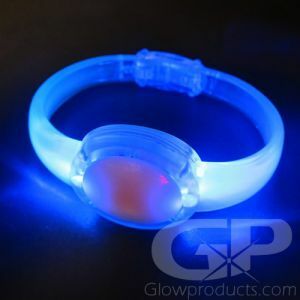 Light Up Jewelry and Glow in the Dark Wearables for any occasion. 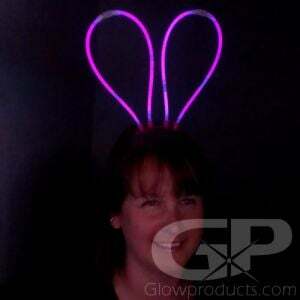 Light up your whole body with our glowing rings, LED pendants, programmable message t-shirts or equalizer glow shirts, flashing hair braids and our glowing eyeglasses and bunny ears! 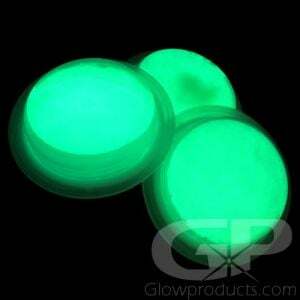 Glow in the dark jewlery ideas for lighted events, festivals, fairs and glow parties! 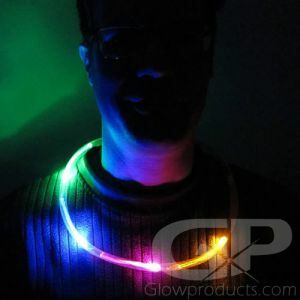 The light up pendant necklaces are fun for glow in the dark parties, birthday party grab bags, theme parties and giveaways at your local fundraiser. 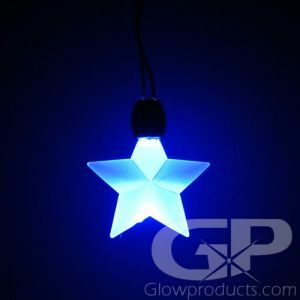 Make sure the top performers at your company wear the LED Necklace Star Pendant at your annual party. We have more fun shapes like oval, rectangular and circular. 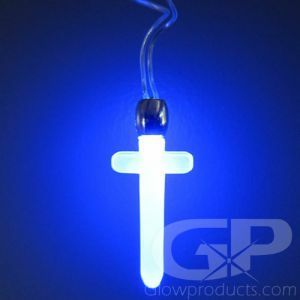 You can add extra sparkle to your evening church event with our glow in the dark crosses or light up crystals. 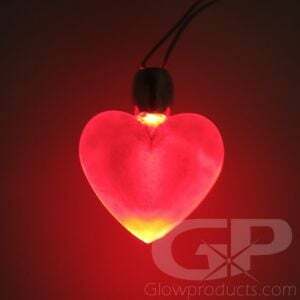 When the Ladies Only night starts at the bar you'll want everyone to be wearing one of the glowing red hearts. 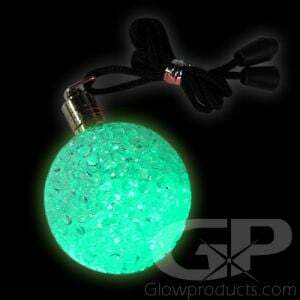 If you want a larger light up pendant, try the green LED ball necklace pendant, the white LED star glow pendant or the pink LED heart necklace pendant! 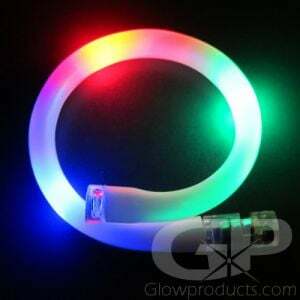 You just have to have the light up jelly rings when planning the light up bling for Christmas, New Years or a fun night out. 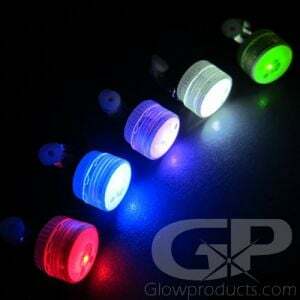 There are 4 different LED colors available that could work with any glow in the dark party theme. 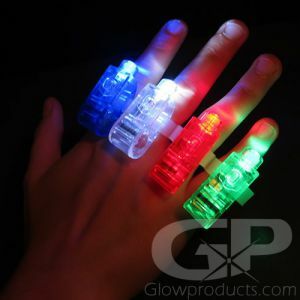 The kids will love the 4 pack of LED flashlight finger rings. The pack can be shared with friends or use all four on your fingers when you need to see your way outside at night. 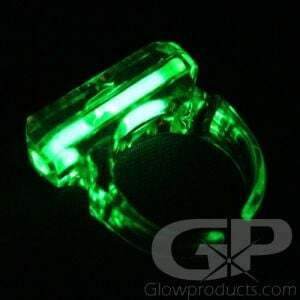 If you want a more subtle look then the slow color changing LED Glowing finger rings are for you. 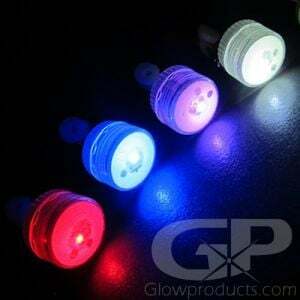 They are round buttons of vibrant light that change color. 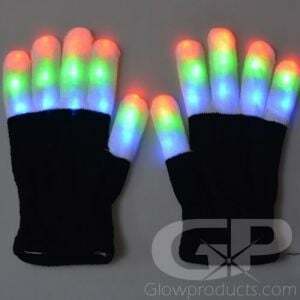 Do you want to be the life of the glow in the dark party, add some light to a costume or ramp up the fun your next event? 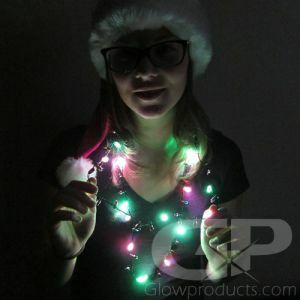 Plan for everyone to wear one of our light up headbands! 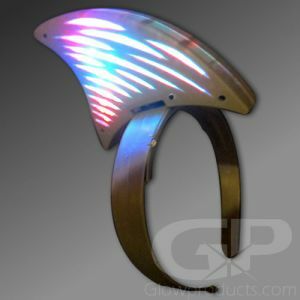 You pick the light up theme and one or more of our lighted headbands will do the job. 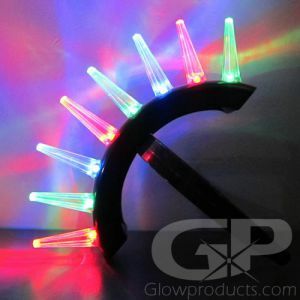 Wear the lighted spiked mohawk and then turn it sideways at the next party to look like a light up tiara. Get the fierce light up shark fin headband for your next Jaws inspired party, or for the next time you're heading for Margaritaville or your neighborhood Luau! 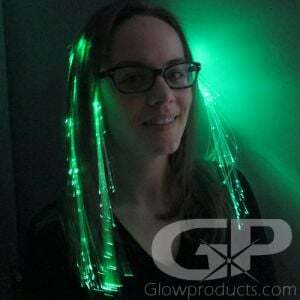 The light up glow party dreads look awesome at an EDM Festival or concert. 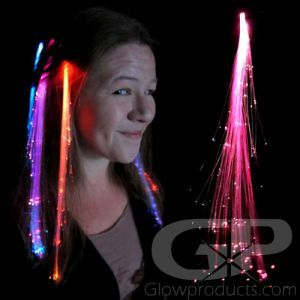 Clip on the glow in the dark fiber optic hair braids to add that sparkle and bling. When you head off to your summer music festivals, plan to pack our very pretty light up floral headbands. 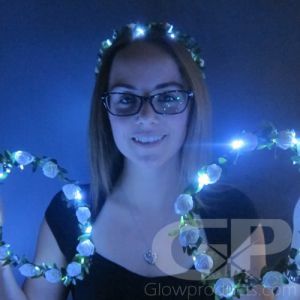 You can choose from lighted daisy or lighted rose floral crowns! 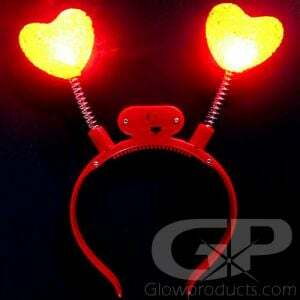 Check out the fun action of these light up head boppers. 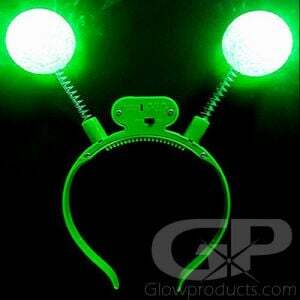 Put them on and watch all the glow in the dark boppers in the room move around as you dance to the music and party with your friends. 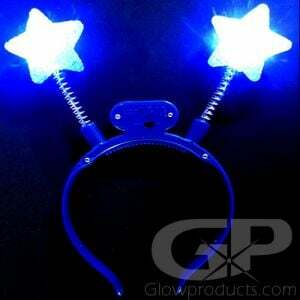 Choose from blue LED star headband boppers, the red LED heart headband boppers and green LED ball headband boppers. 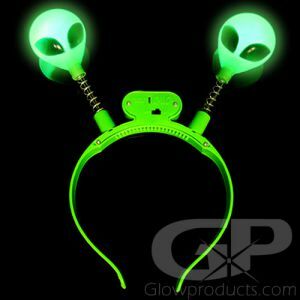 Speaking of green, we also have very cool green alien glowing LED head boppers just for those Roswell, Area 51 parties! Light up your ears with our twinkly light up LED earrings. 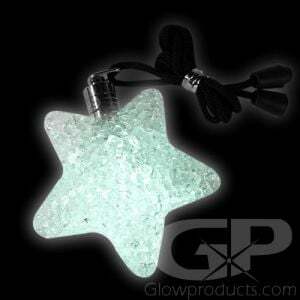 You can get these crystal gems in 4 bright colors - blue, green, pink and white light up colors. 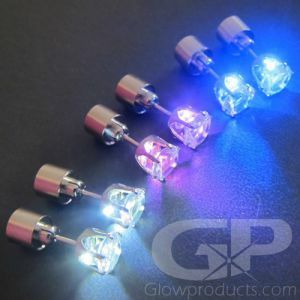 These light up pierced earrings have a steady light setting and do not flash. Even when you don't have them turned on they look like clear crystal earrings. 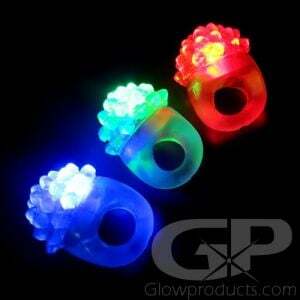 You can also attach these earrings to your clothing as a bright LED body light. 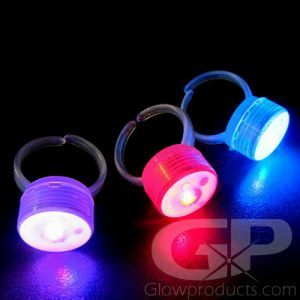 Why not try our LED round body lights as earrings as well, they clip on to your ears and you can choose from steady or the fun flashing lights setting! 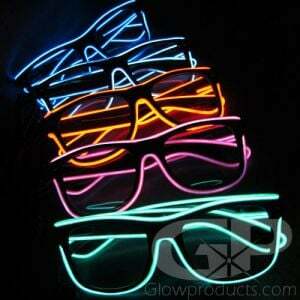 Arrive at the party with your cool Ray Ban style Light Up Clear Lens Eyeglasses or Dark Lens EL wire Sunglasses. 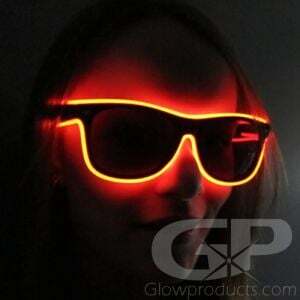 These shades have three settings – steady light, flashing or Sound Activated, to make the night even more awesome! 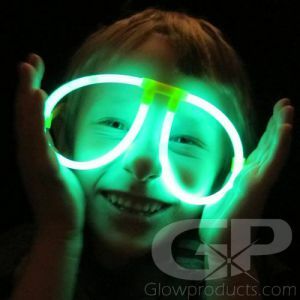 Also check out the fun glow stick glowing eyeglasses – great fun at Halloween, school dances and summer camping trips! 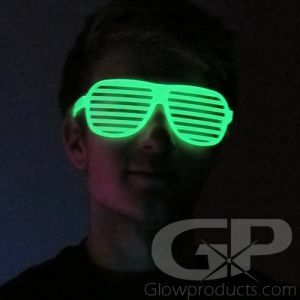 And if that wasn't enough, we also have the glow in the dark shutter shades. 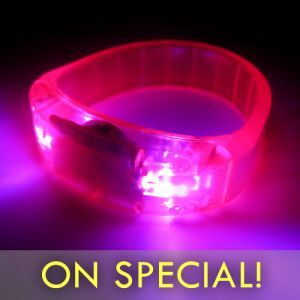 Just expose to light and they'll glow for hours – and what's even better – the glowing shutter shades are also black light reactive! 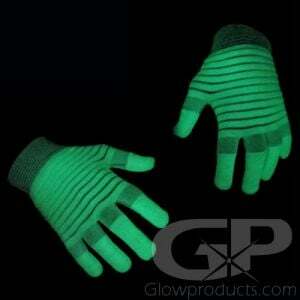 A must have at your next black light party! Want to get your message out there in lights? 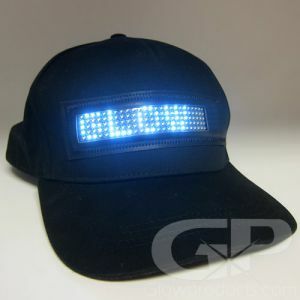 Try our Scrolling Message Programmable Belt Buckles or fabulous Programmable Message T Shirts. Let everyone know whats going on, what you are thinking and what's new with you or your company! 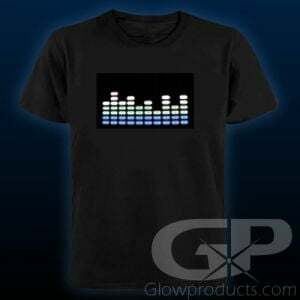 Our equalizer T shirts light up in time with the music playing. 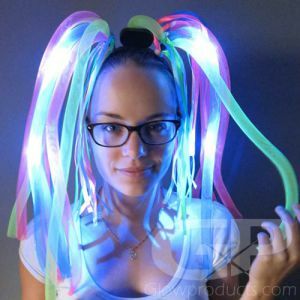 Make sure you have one for your next EDM festival! 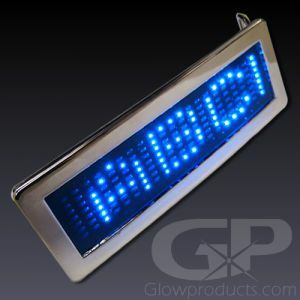 And that's not all, we also carry Programmble Belt Buckles – you can have your message, event or promotion scroll across an LED message board on your belt! 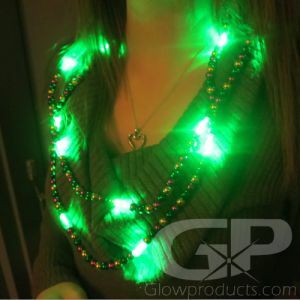 One of our most popular light up promotional products, get your customers, staff or attendants at your next charity gala wearing cool light up custom printed necklaces! 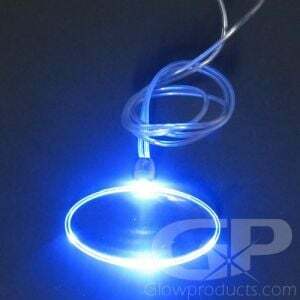 Glowproducts.com can help you with promotional printing on the star, heart, round, square, oval or rectangular shape light up pendants. 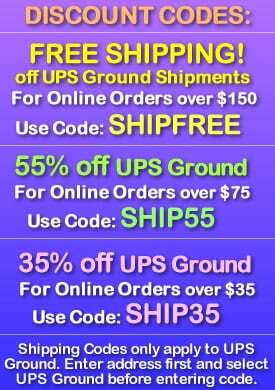 Call us toll free at 1.877.233.4569 for your promotional print pricing! 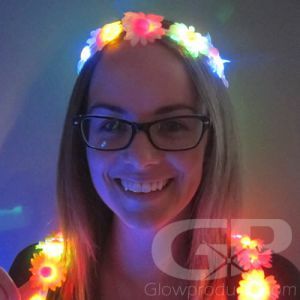 Do the light up floral crowns come in other styles? 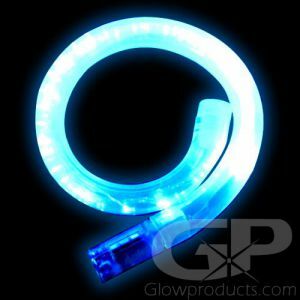 Can I get the LED clip on Bodylights in steady or flashing? Yes you can order one or the other in all of the colors. 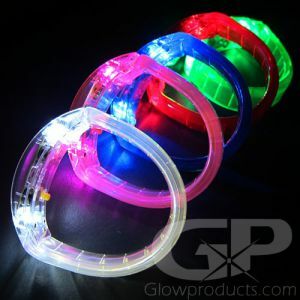 Plus we have a multi color one that can be ordered in the flashing clip on body light section. It's a slow transition of color from Blue to Green to Red and then back to Blue! 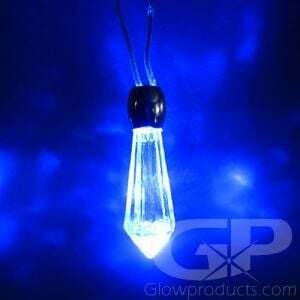 How long do clip on balloon lights last? 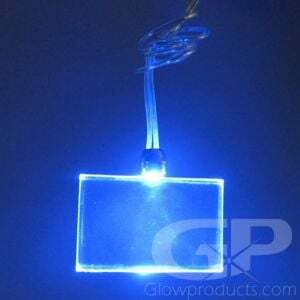 Can I print on the LED pendant necklace? 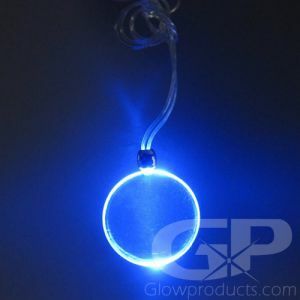 The light up pendants are perfect to print your logo on. 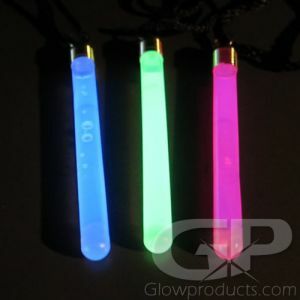 Does the lanyard light up on the Light Up Pendant necklace? 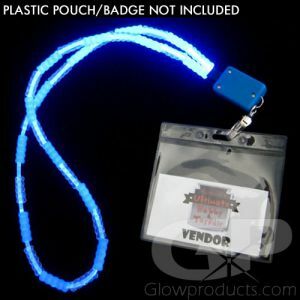 No, the lanyard is not lit up. Only the pendant itself has light on it. How do you wash the Programmable T-Shirts? 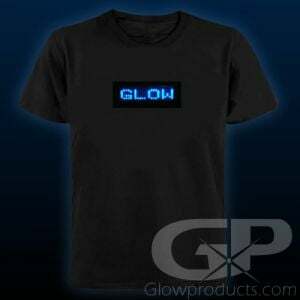 Remember to always remove the LED scrolling unit from inside the t-shirt. You can then wash by hand or on gentle cycle. You need to watch that the plastic shield does not get scratched or bent.